The BenQ ZOWIE RL2460 is a re-branded version of the BenQ Rl2460HT. As far as I can tell there is no specification difference but do let us know if you can see any upgrade in this release. The Zowie brand is BenQ’s gamer line so by buying into this you know that you are getting something that at least had gamers in mind during its creation. Think of it as an equivalent to popular gaming monitor brands like Predator and RoG. On the plus side, it is low latency with a 1ms response time and low input lag. 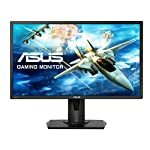 You will feel a connection with this monitor even in the most fast paced moments of your favourite action games. However, it does only run at 60hz and does not include adaptive sync technologies. It is also only 1080p which is probably OK at 24″ resolution but do note many gamers are now looking to move beyond HD, particularly at 1440p and for some with deep pockets, 4k. If you have no intention of investing in the leap just yet then don’t worry about it, but it’s worth considering future proofing. The RL2460 has a fairly industrial feel to it with fairly robust looking bezels. The overall matt finish adds to this look in my opinion and I don’t think you’ll be picking up one of these if your preference is for elegant designer tech. You can hook up your PC gaming rig via a choice of HDMI, VGA, and DVI-DL ports. There are actually two HDMI sockets which is handy if you want to hook up an XBox or Playstation on the side. This monitor would pair well with a games console, it’s the right spec for current generation PS4 and XBone – 1080p at 60hz. Note that it also has an HDMI out port so that you can stream your game play to a secondary display with no impact on lag – handy for tournament play. You can tilt, pivot, swivel and change the height by pushing and pulling the stand. A nice touch is the inclusion of a trackable scale so you can remember just how you had your monitor before you carted it off to that LAN party. 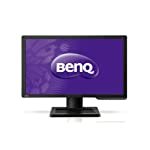 Whilst BenQ have not included adaptive sync technology here, and the display is limited to a 60hz refresh rate only, this monitor has been engineered for premium response times. With a grey to grey transition time quoted at 1ms and a low reported input lag you can see why e-sports professionals are turning to the Zowie brand. Configuration can be done via the Display Pilot software which allows you to import profiles, either your own saved presets or downloads from online. This is a great solution if you want to emulate tried and tested configuration settings from others. 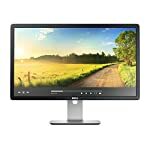 This monitor uses a TN panel, typically not suitable for professionals working with images due to less than optimal colour reproduction. But that said, they have come a long way in recent years and home users should find that in game images look vibrant. Owner reviews speak highly of the overall image quality. You find viewing angles a stretch though, when you look at the screen side on the colour accuracy will diminish. Not a problem if it is sat directly in front of you on your table. We give the BenQ ZOWIE RL2460 a 4.5 out of 5 rating. Want to know what existing owners of the monitor think? You can read real user reviews here. Should I buy the BenQ ZOWIE RL2460? A fast flicker free gaming monitor under the BenQ Zowie brand. It lack some of the high specs sought by the most demanding gamers but its responsiveness will make it attractive to others. If you are having some doubts about this purchase then why not read some real owner reviews and see what other buyers think. Welcome to the BenQ ZOWIE RL2460 FAQ. This section attempts to answer common questions you may have, please get in touch if you have any more queries or if you think our answers need updating. What game modes does the RL2460 have by default? By default you have fighting mode and RTS mode but you can can setup 3 more presets. These can be downloaded using the Game Mode Loader.